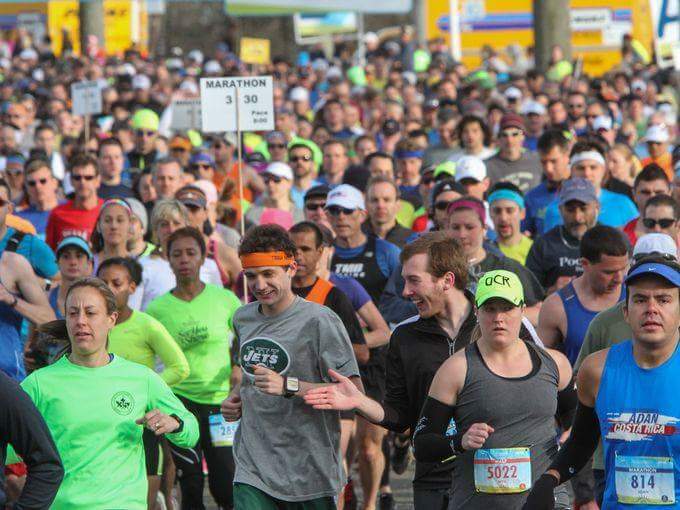 It’s been four years since I last ran the Staten Island Half Marathon and I remember it like it was yesterday. It’s easy to recall something that has made an impact on you, easier still if it had a PR attached to it and even easier if it happened with an injury. That race will forever go down as my most heartening run with the most beautiful, yet tough memories of what it means to run with heart. While I won’t venture beyond that, since it’s all in the past and has already been rehashed, what I will say is that I hope the lessons I took away serves me well this time around. In the past few years I’m focused a lot on “the Marathon” and paid little attention to running or training for a half-marathon. For sure it’s a different race, and in fact all races deserve their own respect and therefore their own strategy and plan, which I’ve tried to follow to this point. The problem is that running two important, yet different, races two weeks apart poses a bit of a challenge when training. Since I’m doing just that, I’m left with the quandary of which to prioritize. This is more or less easily determined as I’m running the Half with specific goals in mind that supersedes those of the Marathon. That is not to say that it’s less important but only that my goals for the Marathon are less demanding. Still, I always try to run a good race so performing well is very important and has made my past twelve weeks of training interesting with varied runs and cross training targeting development and performance for both races. Only this past weekend had me doing a simulation run that saw me come up just short of my goal time. I’m trusting the real race will provide the missing positive factors that will influence the result I’m looking for. As it is, I’ve run two marathons back-to-back before, they were of the same distance and my strategy then was to simply treat the first as a long run and the second as a race. As I recall, it didn’t quite turn out that way and in hindsight I see now that I should have raced the first and just enjoyed the second. Suffice to say, I walked away lesson learnt. 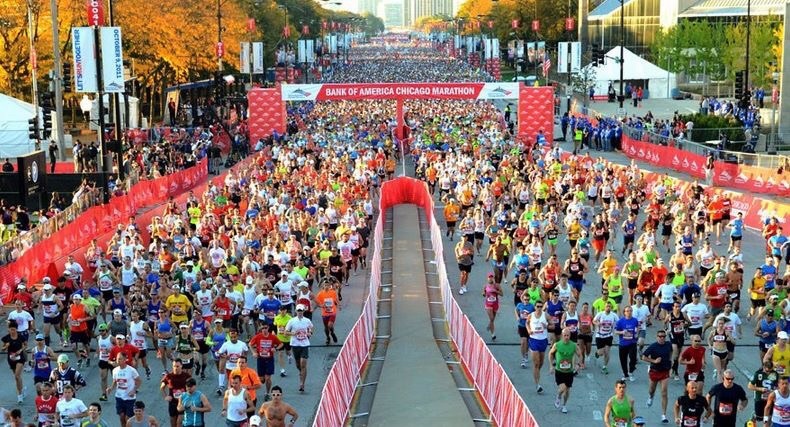 On Sunday, which happens to be the same day of the Chicago Marathon – just throwing that in there – I will attempt to run in the shadow and wisdom of past races and hope to have an amazing time on my favorite half-marathon course in NYC. Although I’m told the course is slightly different from what I am used to – a bit more hilly – I can only hope it spurs me on to great things. Wish me luck as I carb-up this week and prepare to run my “race of the year.” The excitement just doesn’t get old around here! LOL. Last Sunday dawned awash with color across the New Jersey sky, the beautiful face of sunshine setting the tone for a stellar day weather-wise and otherwise. We stood at the start wrapped in our heat sheets, an anticipated chill in the air. The buzz was high. Many were expecting to do good here; rumor had it the course was a fast one. Having observed no worrisome inclines on my review the evening before, I was excited to see how it would pan out. Part of my excitement stemmed from the “unknown factor.” I enjoy discovering a course while running. My adventurous spirit revels in the uncertainty and mystery of what will come next and I was not disappointed. I had heard a bit about the twists and turns following mile 13 but I wasn’t concerned, as long as there was some variety to be had, I had nothing to fear from monotony. As it turned out, our 3:30 pace group leader was a veteran marathoner with 50+ marathons under his “shoes,” most recently Boston two Monday’s ago. His humor was trying at best as he attempted to entertain us early in the race; though on a marathon course, you learn to appreciate anyone who tries. He did however, marshal us into maintaining a steady 7.5 pace for first half of the race, which had a few of us antsy considering the burn out issue. Still, there were others who were interested in upping the ante, feeling strong then I guess. I’m headstrong yes, but not stupid, and I am fully aware of the idiom – marry in haste, repent at leisure – no way was I even interested in trying to outdo myself at such an early stage. Good sense prevailed and we stayed together and strong. You can tell New Yorker’s anywhere you go and that was true of those running in the group; chatty, competitive, brash even but open and warm. Some willingly carried the pacer’s sign, which he promised to ditch early on, right to the end. For much of the way, miles 1 through 16, we poked fun, had the odd conversation, commented on pace and fed off the crowd, which was a surprise in itself – there were quite a bit of cheer going on. We were thankful for that and showed our appreciation with waves and mouthfuls of thank you. The volunteers, as instrumental to the race as ever were a beautiful bunch; filled with encouragement and fuel, they were with us every couple of miles along the way. The fight and challenge to finish strong came around mile 18. So far it had been a scenic, flat and full-out sunshine course. The wind was co-operating fully with just the right amount of ruffles to make the sun a pleasure but suddenly it wasn’t so easy anymore. The sun was now head on and hot, the stretches began to seem to long, no one was talking anymore, the pacer appeared to be going too fast, I could hear grunts coming from my far left, where was the guy with the time pick? And the other one who was beside me for much of the way? We appeared to be losing people, a couple were ahead but surely some were behind. Shouldn’t the pacer check to see what was happening to the group. It was then I realized that it was all he could do to remain focused and stay the course. He had set the pace and carried it for three-quarter of the way, it was our job to take it home. I felt we had lost some time, a few seconds of the last two miles maybe, but with four more miles to go and the shore beckoning, it was doable, it was happening. I recall his last words before my heart took over – a hug at the finish. It’s what is known as heart running. When you feel like there’s nothing left to give. You’ve done all you can, all the training; cross training, speed work, running, has culminated into this moment right here..this is it. With two more left to go, it’s breakaway time. My heart is thumping, my legs are unreal..I don’t even feel them, all I can see is the stretch in front of me, all I can hear is the voice in my head – you’re almost there, over and over – I’ve left them behind, the crowds are thickening, the waves are crashing, my feet are pounding, I can see the finish. This is so happening. With 800 meters to go I stagger and look behind me and there’s my girlfriend who ran the entire way with me, I thrust out my hand to her – “come on, come on,” I say. She reaches out, I grab her hand and we sprint to the finish; huge smiles on our faces for the camera as we cross the finish line. I pull away, retching with my head between my knees and she’s gleefully saying, “we did it! We did it! Sub 3:30! Are you ok?” All in that order. A few minutes and I was fine, the pain would follow in a bit but just then I was super excited to have PR’d and qualified for Boston 2016 by just over ten minutes. We did indeed indulge in those hugs and a few tears following the reciept of our medals. They say pain is temporary, pride is forever. I’m so proud of me.